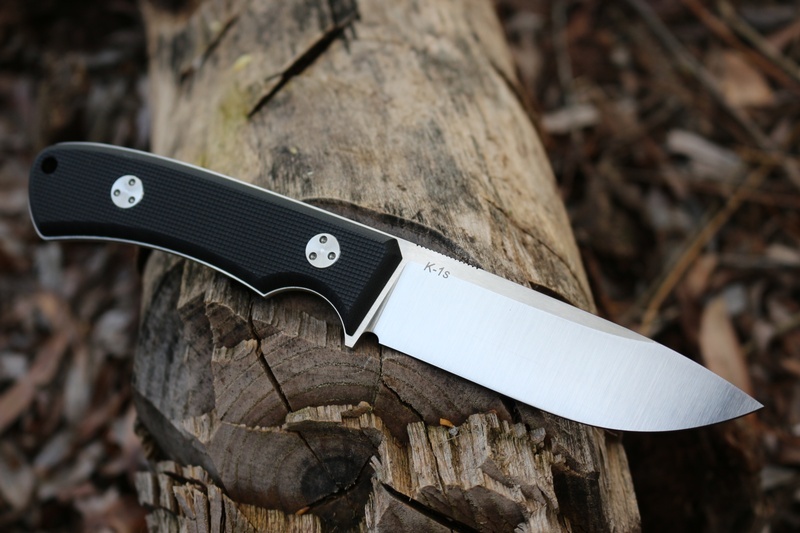 A Compact Outdoor and Bushcraft knife from TRC knives of Lithuania, this a variation of the K1 knife, offering all the great advantages of that design, but with a slimmer stock and shorter blade (handle length though, is the same). 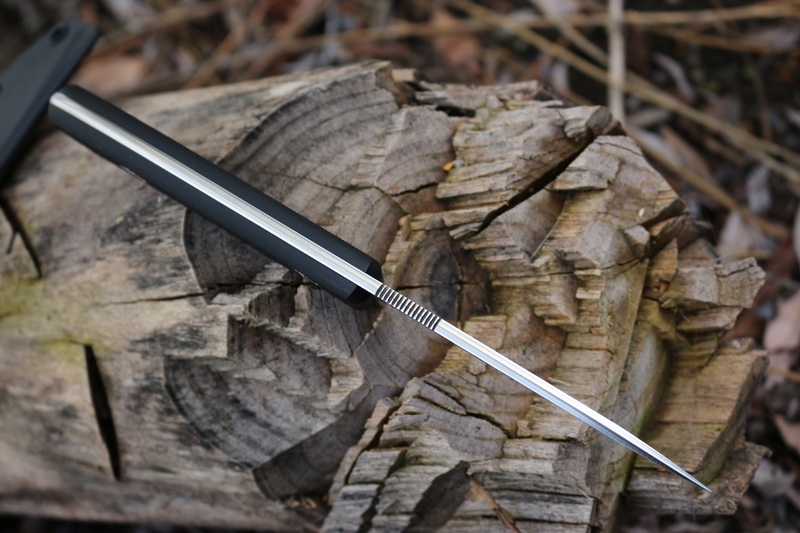 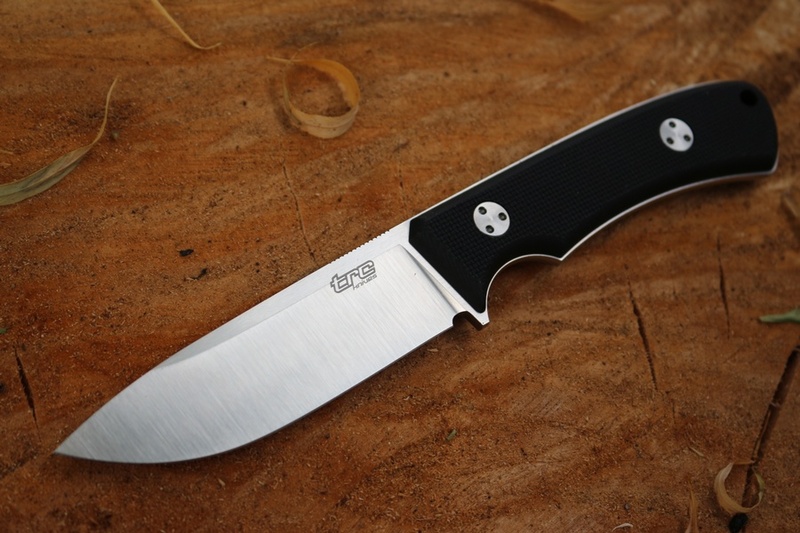 Using the super Elmax steel, this knife is a great all around Bushcraft and Outdoorsman's knife, full flat ground (with fine bevel) full broad tang (with the raised, capped spine) deep finger choil and solid (textured) Black G10 Slabs. 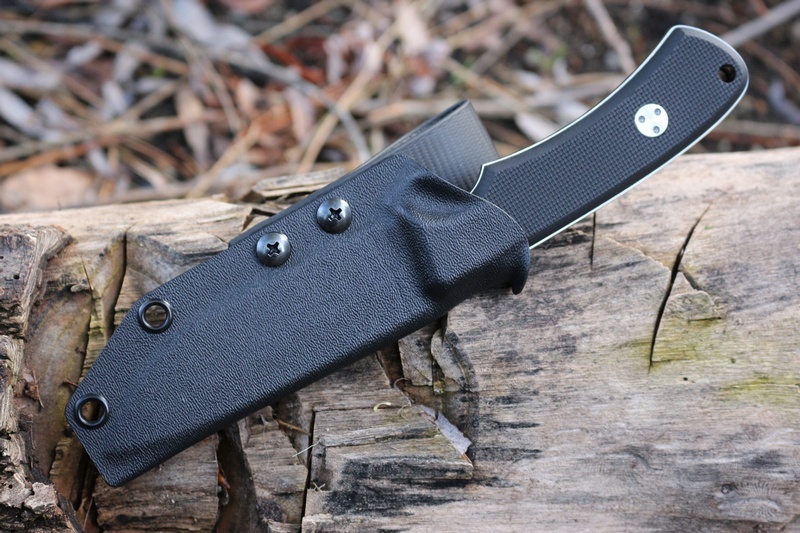 Comes with quality kydex sheath. 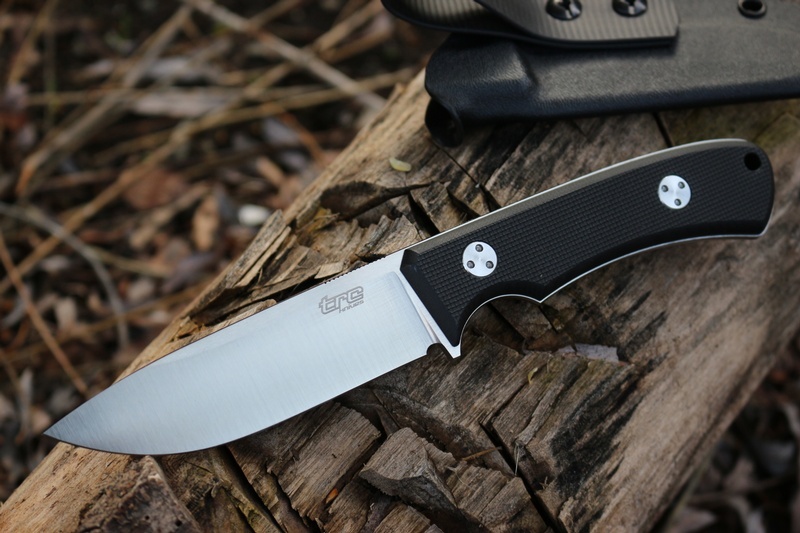 Purchase through PayPal by using the "Add To Cart" button above or use the form below to order the TRC Knives K1S Compact Elmax Black G10 . Feel free to contact us if you have any questions about the TRC Knives K1S Compact Elmax Black G10 .